Professional Development - Services - United States - World Education, Inc.
World Education's approach to improving practice in the adult education field is guided by research suggesting that effective professional development should promote active, collaborative learning; be sustained over time; be job-embedded and data driven; and assess changes in participants' knowledge, skills and practices. World Education’s professional development moves participants along a continuum: becoming aware of needs in current practice, exploring new approaches, and applying what they have learned. We work with a broad range of constituents to assess professional development needs and to design and deliver a customized approach. Our approach considers context, makes connections to standards and other initiatives, and uses data for greatest impact. We promote active and collaborative learning that participants can incorporate into their jobs and sustain over time. For a detailed listing, please review the catalog of our Professional Development Offerings for 2016-2017 and contact us for more information at literacy @ worlded.org. The LINCS Professional Development Center helps build state capacity to establish or operate professional development programs. NELRC strengthens adult literacy services in New England through sharing and collaborative projects among adult literacy professional development providers, practitioners and policy-makers. 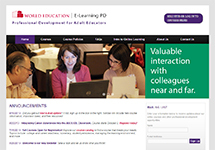 The New England Literacy Resource Center’s (NELRC) Technology Integration Project (TIP) is a six-month professional development initiative designed to prepare adult educators to understand, choose, and effectively incorporate technology into instruction. 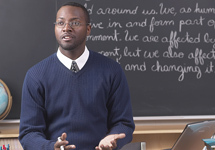 Mentoring can have a positive effect on adult student success.